Eustace, speaking on the New Times radio programme yesterday, said that there is nothing wrong in speaking about reparations, but that should not be the priority right now. âThe priority is to lift our economy and put people back to work,â Eustace said. âI understand the reparations issue, you know, and theoretically I have no problem with that, but for it being practical now, for me that priority is looking after people now,â he continued. According to Eustace, Prime Minister Dr Ralph Gonsalves is trying to divert the peopleâs attention from the issues that are affecting the country. The Opposition Leader said that the country is in a sad state, with people not being able to make ends meet. âThere are lots of things going on with people who are employed or supposed to be employed â that is the state of this nation, so donât tell me about reparations,â Eustace said. He referred to an article which appeared in local newspapers last Friday, about some workers at the National Irrigation Authority, who said they had not been paid in about six months. Eustace said that he did not want anyone to get the impression that he was against the idea of receiving reparations for the wrongs done during the slave trade; however, he did not believe that practically anything was going to come from that. He said that the focus should be on the problems of the people on the ground – not on reparation. But Eustace said that while there may be good arguments to support reparations, where was the money coming from; and from whom and when? 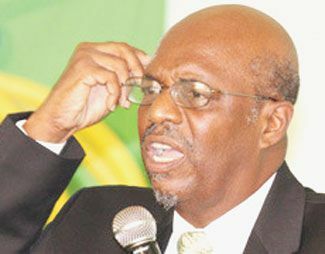 âI think that is a red herring issue to draw people away from the dire problems they face today in St Vincent and the Grenadines, that are how I see it,â Eustace said. At the National Heroâs Day ceremony on March 14, Gonsalves repeated his calls for reparations from the British for the genocide committed against the Garifuna people. According to the prime minister, based on some rough calculations, St Vincent and the Grenadines and the rest of the English Speaking Caribbean should be compensated with more than EC$40 billion. He also said at a press briefing back in February that there are plans for the establishment of a national reparations committee.